Here’s our fantasy premier league tips midfielders GW34 article in our player rankings series. There’s a table of stats to help you make your transfer choice. I’ve generally started with a selection of midfielders who have fixtures and I think will start in GW34 and have some longevity in the team. 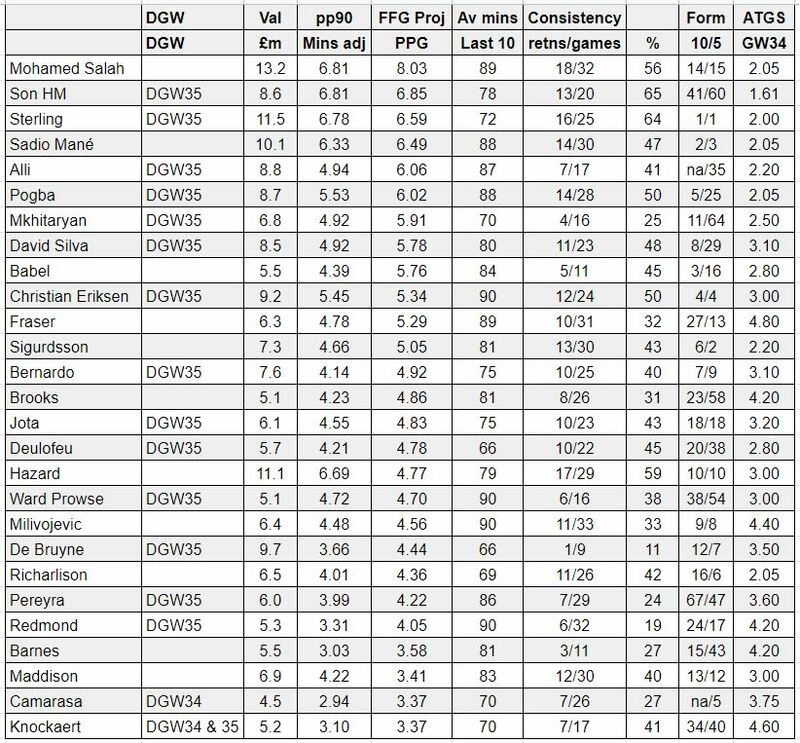 I’ve then looked at their expected goals and assists data in 18/19 so far as well as how it relates to their historical numbers. After that I’ve then adjusted it for their ability to over/underperform, their bonus potential, their fixtures over the next 6 and any specific 18/19 factors and numbers. 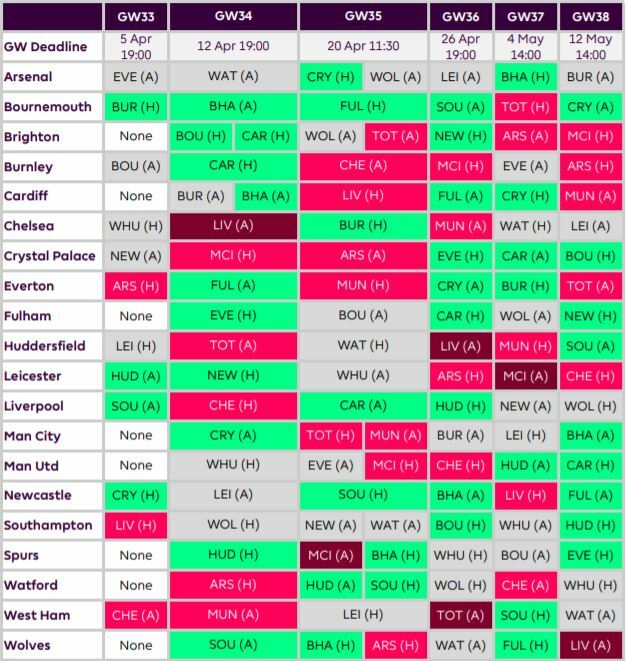 There is no adjustment for upcoming fixture strength as the relevant fixtures depends on your chip situation. Salah is producing underlying stats and executing them at a rate well below what he should be doing. A similar story for Alli although he also gets a fixture boost. Mkhitaryan’s stats are very good and he gets a fixture boost. If only his minutes were reliable. Hazard is mainly about poor fixtures coming up. The only player who ticks all those boxes is Eriksen. There are a DGW few players who only fail 1. How does De Bruyne look?